You are here: Home / Home Improvement & Repair / What Voltage Cordless Drill Should You Buy? When I first became interested in cordless drills, I didn’t really understand the significance of battery voltage and/or torque. Then I tried to use a hole saw with my 12v cordless drill. Suddenly, I understood that voltage and torque is important. This article will help you answer that question. 12 volts – Best for general home use and normal DIY projects. These drills typically have a 3/8 inch chuck. A good 12V cordless drill/driver will have no problem driving 3-inch deck screws or boring holes with sharp spade-bits. 12V drills are not recommended for use with hole saws or large auger bits. 18 to 20 volts – Best for heavy DIY projects such as deck building, large-scale remodeling, etc. These drills typically have a 1/2 inch chuck. These drills will run hole saws up to about 3 inches. If you are a pro that bores a lot of holes, you’ll probably want to move on up to a 28 volt model. 24 volts and up – Best for professional contractors, especially in jobs that require drilling concrete, iron plate, or boring a lot of holes through studs or joists. 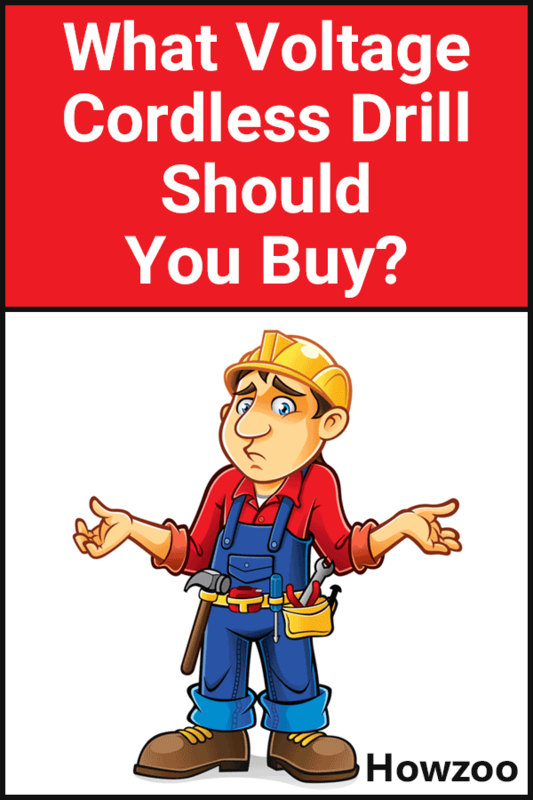 I used corded power-drills most of my life and always thought that the cordless drills were a marketing gimmick and not powerful enough for my needs. A few years ago, I decided to give cordless drills a shot. I went out and bought a Milwaukee 12V kit with the 2407-20 12V drill/driver. The kit I bought was 2407-22 Drill/Driver Kit. Let me tell you, I was shocked at the power that little drill had. In my opinion, this was one of the best tool purchases I have made. I use it all the time. For drilling holes and driving screws it is all you need. It will drive 3 inch deck screws no problem. I also use it sometimes with my Kreg pocket-hole jig. I don’t use it with hole saws because I don’t want to risk burning it up. I have more-powerful drills for boring large holes. If I could only have one cordless drill, I would get an 18 or 20 volt drill. I would rather have more power than I need than not enough power when I need it. If you will ever use it for hole saws or large boring bits, get the 18 or 20 volt. If you need a drill for household use that the whole family can use, get a 12 volt. I recommend getting both a 12 volt and an 18-20 volt cordless drill. The small size of a 12 volt drill is great in tight spots. A 18-20 volt is great when you need the power and have the space to use it.